What are you creating in your life right now? How are you Co-Creating your Ideal Dream Life? 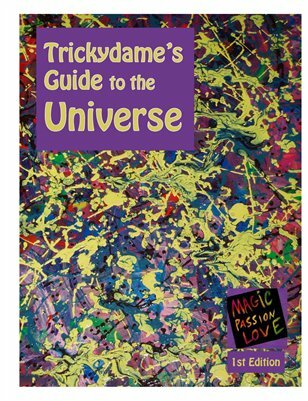 If you are asking these questions, Trickydame's Guide will help you discover these answers and make you feel good being YOU! This EZ to use handy dandy guide helps you to feel good being you 24/7 by accessing the renewable, sustainable energy source within you! Are you ready to live your dream life!? Proceeds of all sales go to the MPL-USA Art Tour: sharing positive energy from sea to sea! Thank you for your support! !